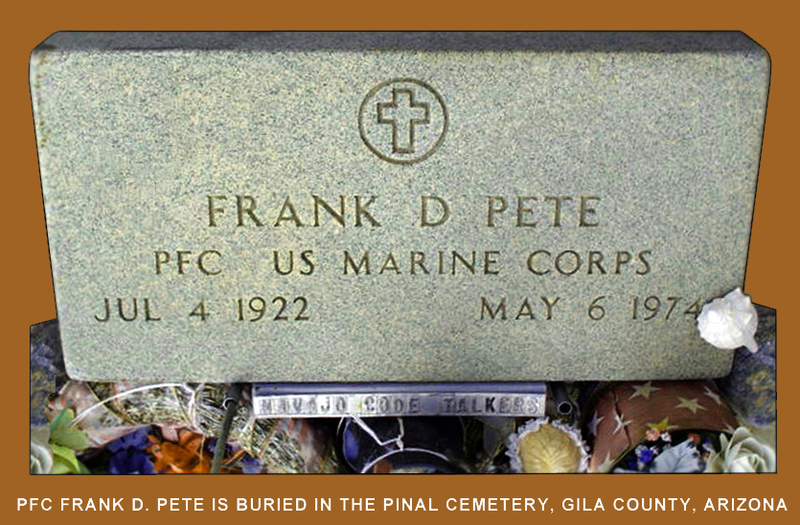 Frank Danny Pete, Cpl. 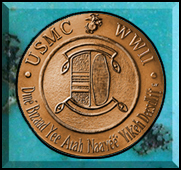 L. P. Kohl (Drill Instructor), Sgt. L. J. Stephenson (Drill Instructor) Cpl. R. J. Hayes (Drill Instructor), Wilsie H. Bitsie. Chester Nez, Eugene R. Crawford, John Brown, Jr., Cosy S. Brown, John A. Benally, Bill D. Vazzie, Benjamin H. Cleveland, Nelson S. Thompson. 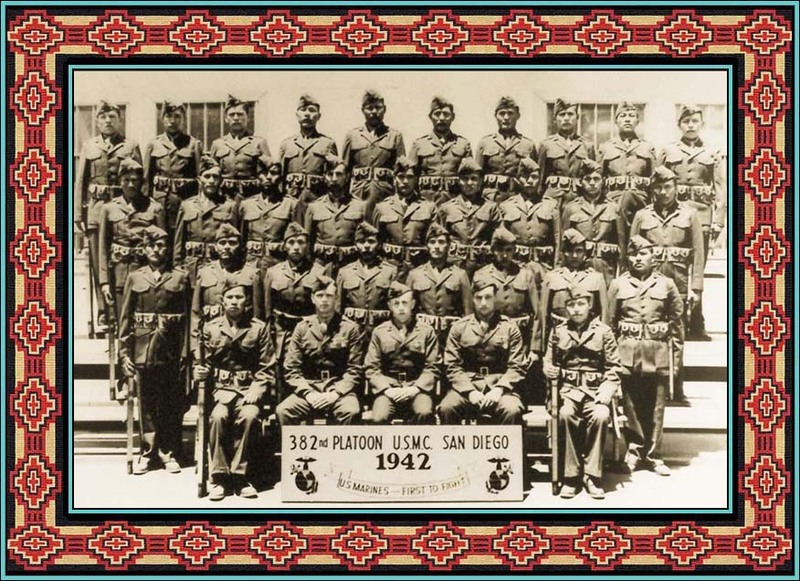 James Dixon, Roy L. Begay, Johnny R. Manuelito, Harry Tsosie, George H. Dennison, Carl N. Gorman, Samuel H. Begay, John Chee, Jack Nez, John Willie, Jr. 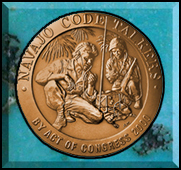 Note: Lloyd Oliver died Wednesday, March 16, 2011 at the age of 87, leaving Chester Nez of New Mexico as the only living member of the original 29 Code Talkers. 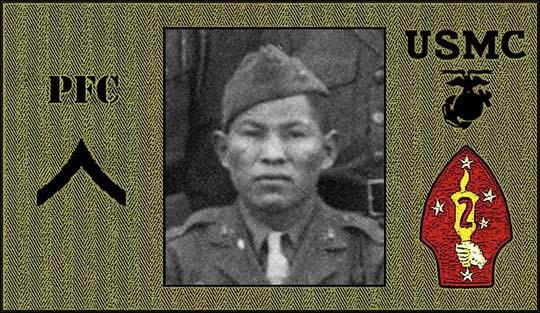 DO YOU HAVE ANY ADDITIONAL INFORMATION ABOUT PFC PETE?